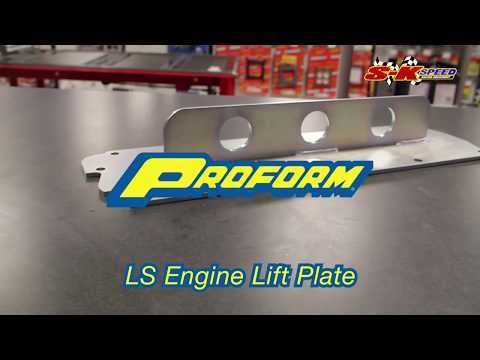 PROFORM's steel multiple attachment point, LS engine lift plate makes getting the engine out a cinch. Simply remove the intake manifold and valley tray cover, then replace it with this robust lift plate using the existing valley tray bolts. It also acts as a valley cover for storage purposes.